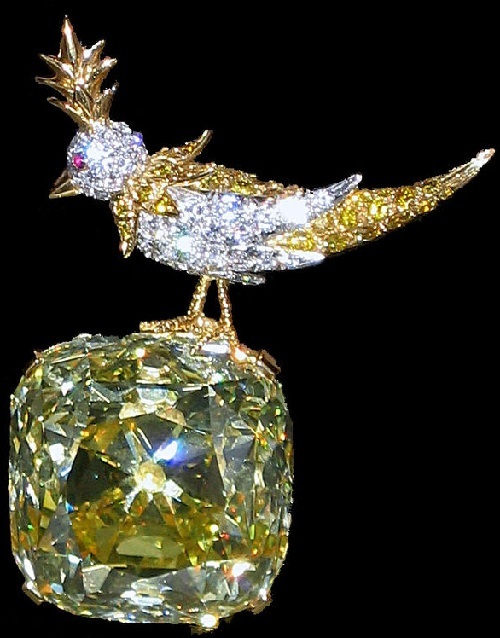 Bird on a Rock has been one of Jean Schlumberger’s most iconic pieces since its introduction in 1965. 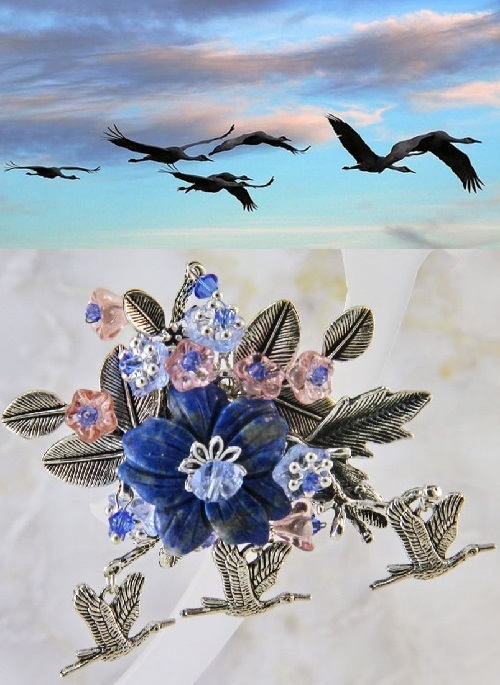 Born in Mulhouse, France, Jean Schlumberger was the son of Paul Albert Edward Schlumberger (1877 – 1952) and Elizabeth Schoen (1884 – 1942), both worked in the textile industry. Already in his youth, Jean showed talent for drawing, but his parents tried to discourage him from the artistic activity, forbidding him to undertake formal training. In 1930, his father sent his son to Berlin to be engaged in banking activities. However, Jean finds a complete lack of interest and talent for numbers, and soon moved to Paris, where he indulges his love of art. 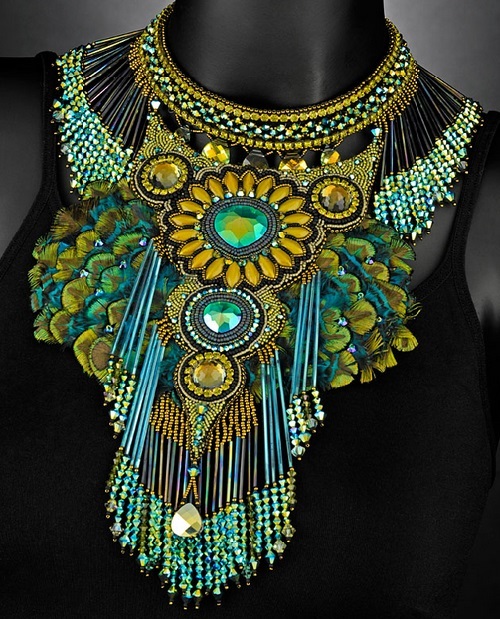 Insects in jewelry existed at all times, but the real fashion for them began in the early XIX century with the development of the natural sciences. 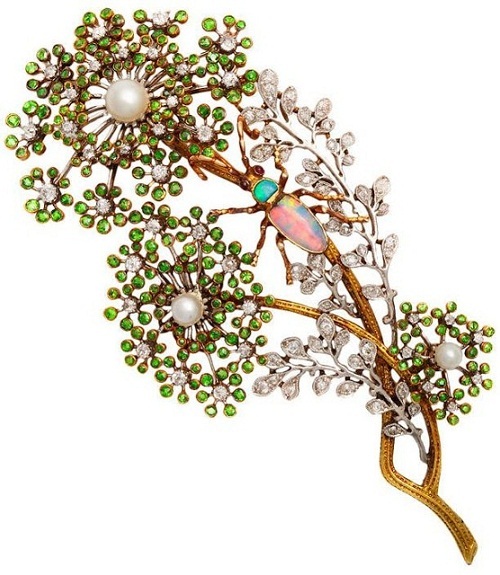 Since then, bugs, butterflies, ants, ladybirds, dragonflies and spiders forever became one of the most popular images in jewelry, and still virtually all known fashion houses have their precious insectarium, replenished from time to time with new swatches. Jewelers of XIX century not just used images of insects, but almost copied the mother nature and always had a naturalistic albums with sketches of insects and ordered sketches from entomologists. Actually brooches and necklaces of XIX century would be correct to call the “entomological”. History of the appearance of buttons is interesting and diverse. The first of their counterparts include fasteners, which appeared in the 3rd millennium BC. The excavations in the Indus Valley discovered a button with two holes for sewing. In Europe, the first find is dated 4th century BC. These were the items for bonding pieces of clothing from the ancient Greeks, who fastened with buttons their leather belts. From that time until the 1st century AD were found the samples made of gold. A medieval knight brought them to Europe from the Middle East.